New Delhi: It is not a good news for Delhi Metro commuters as the metro services can be stopped at any time by the dissatisfied Delhi Metro employees at large due to failure of Delhi Metro Rail authority in implementing the issued raised and agreed jointly in a high level meeting held on 22nd & 23rd July 2017 between Management and Staff Council of DMRC after consultation with Ministry of Housing and Urban Affairs, Government of NCT of Delhi and Principal Advisor Dr. E. Sreedharan. The meeting was chaired by Mangu Singh, Managing Director and most of Directors were also participated after starting “chakka jam and tool down” strike by all non-executives of the Delhi Metro Rail Corporation (DMRC) due to illegal removal of a best performer metro employee served DMRC over 13 years on the post of RTI Supervisor. 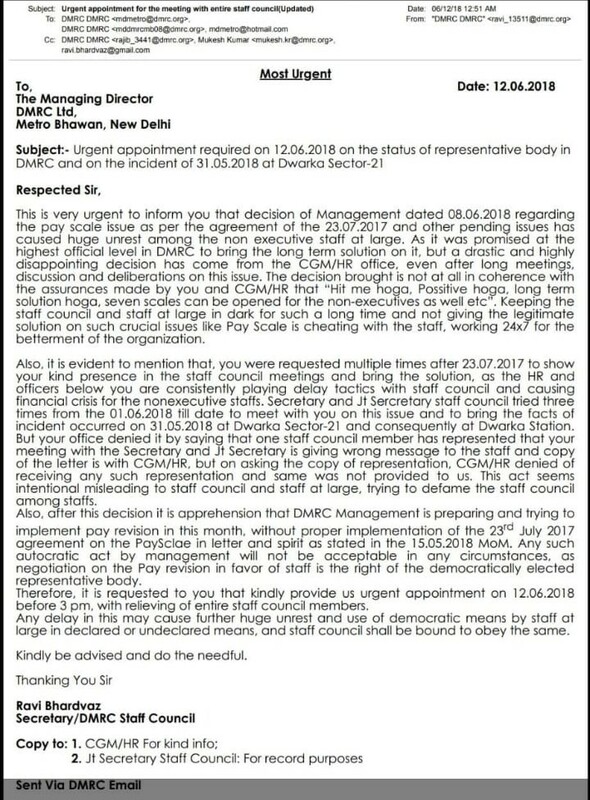 Ravi Bhardwaz, Secretary Staff Council written an e-mail to the Managing Director of Delhi Metro Rail Corporation and alleging autocratic behavior by the Management towards the non-executives of the DMRC. In his e-mail, he stated that the Management is failed to comply / implement agenda items of meeting held on 22-23 July 2017 and the MD office is refusing to set meeting with the Managing Director despite of several requests made in this regard. He alleged that CGM/HR R.D. Chaudhury intentionally misleading staff council and staff at large, trying to defame the staff council among the staffs. CGM/HR is also trying to keep the staff council and staff at large in dark for such a long time and not giving the legitimate solution on such crucial issues like Pay Scale and is cheating with the staffs, working 24×7 for the betterment of the organisation. 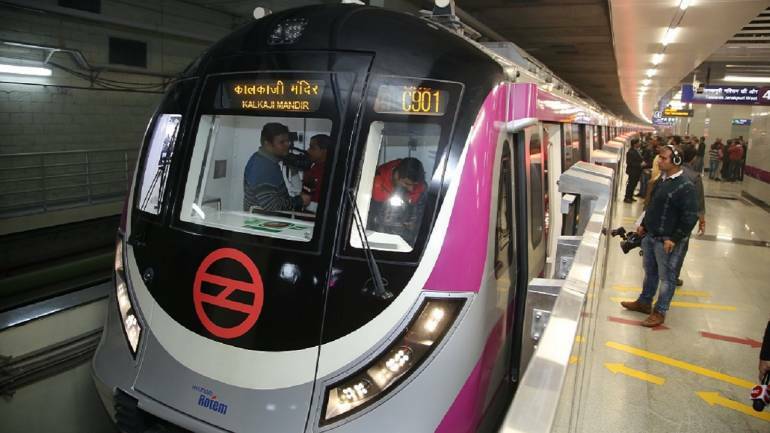 He further alleged that HR and other officers working below the Managing Director are consistently playing delay tactics with staff council and causing financial crisis for the non-executive staffs of Delhi Metro Rail Corporation (DMRC).